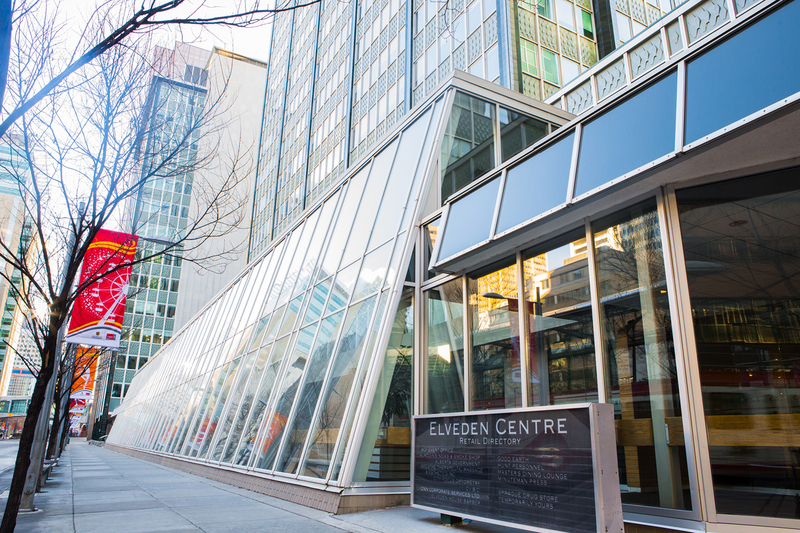 ELVEDEN HOUSE, 717 - 7TH AVENUE S.W. Three tower complex with total rentable area of 447,814 square feet. 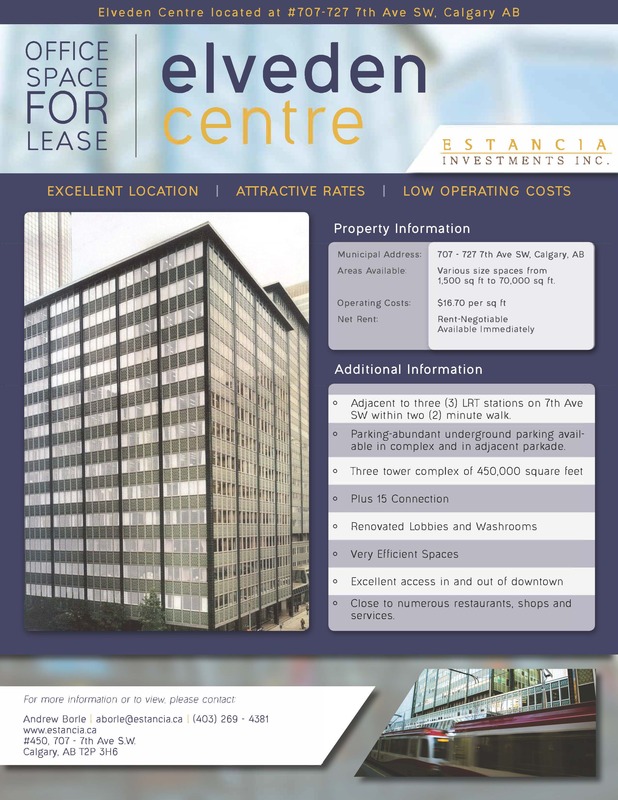 Centrally located with direct access to LRT. Restaurant, cafe, convenience store, drug store, and banking facilities available. High speed voice and data connections available. 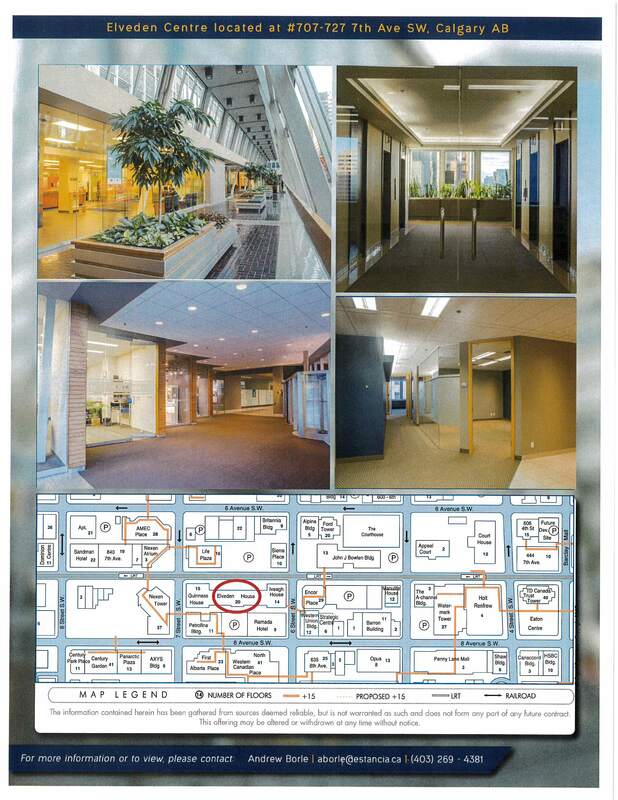 Fully upgraded Elevators – Life Safety and HVAC systems – Newly renovated common areas. Additional parking available with great rates in Landlord owned adjacent Parkade, covered and open parking available. Building Size 172,081 sq. ft. Typical Floor Size 7,800 sq. ft. Reception, meeting room, kitchen, 22 window offices, server room, storage. Reception, 13 office areas, boardroom, kitchen, server room (can accommodate 32 work stations). Reception, meeting room, 13 window offices, large open work area, kitchen, server room. 6 window offices, server room, open work area, storage. Combination of open area and window offices. Can provide 4 window offices and a boardroom, server room. Reception, 8 offices, meeting room, kitchen, open work area and storage/filing area. Premiere show suite currently being developed. Double glass door entrance, modern design, reception, three (3) window offices, open work area. Very good condition and good view.